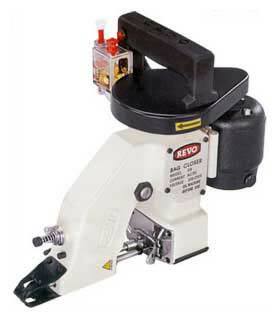 Also this model is specially suited for thick materials stitching. All types of bags & any material can be closed - and even the thickest Burlap & Jute or 8 Ply Paper bags are stitched with ease. Sturdy Pump for Auto-oil Lubrication system - instant oil release through the machine at the press of a button. All steel main parts - for use in chemicals, cements etc for long life. Soft, low sound machine & dust - resistant motor. Totally shock proof Polypropylene handle. Allen key screw systems - for longer holding power of parts - built to last -Oiling possible from outside the machine as well as by the Auto Pump.